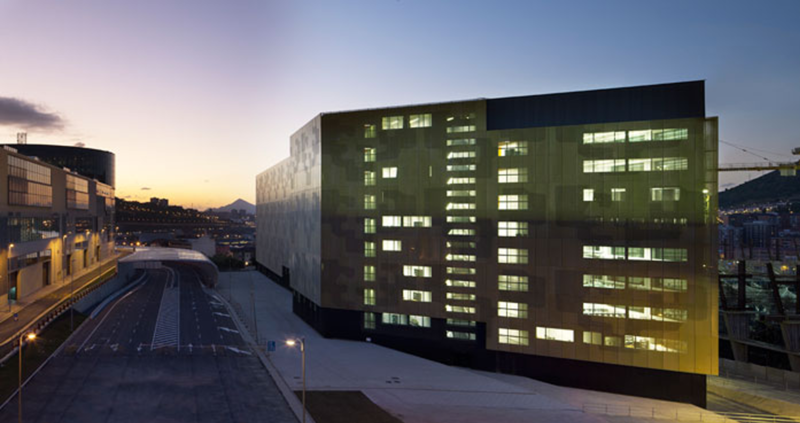 It was the desire of the Basque Country University, due to the strategic location within the city, that this new building which holds the Schools of Industrial, Mining and Civil Engineering became an architectural icon by introducing a contemporary design, along with high standards of quality which would reflect the spirit of the institution it represents. 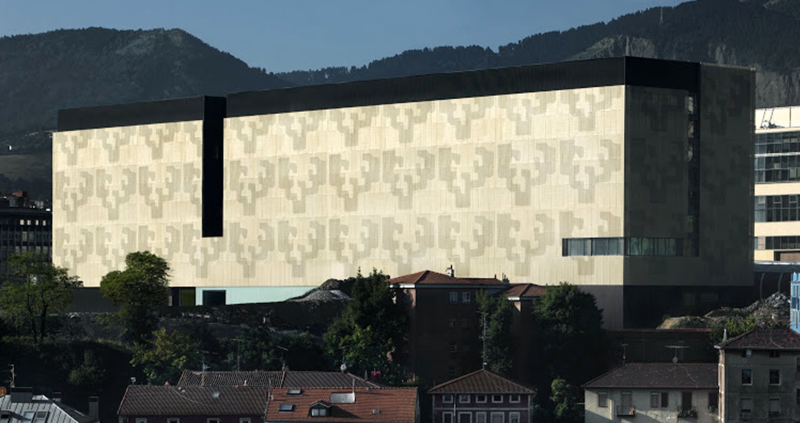 In order to achieve this, along with the careful composition which works with the volumetric constrains imposed by the Special Plan of the city, the University´s logo designed by Eduardo Chillida has been included on the façade´s outer metal skin design. 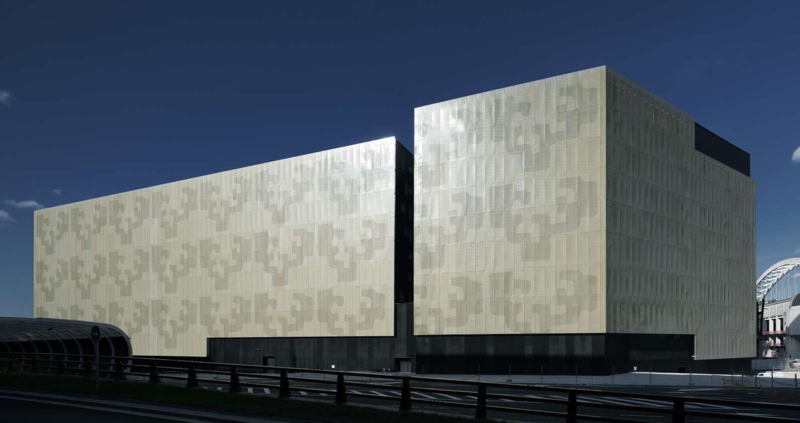 The external skin, made of golden powder coated perforated steel, integrate the Basque Country University´s logo, providing a monolithic appearance to the building and somewhat disguising its large scale, since it is 10 storeys tall. 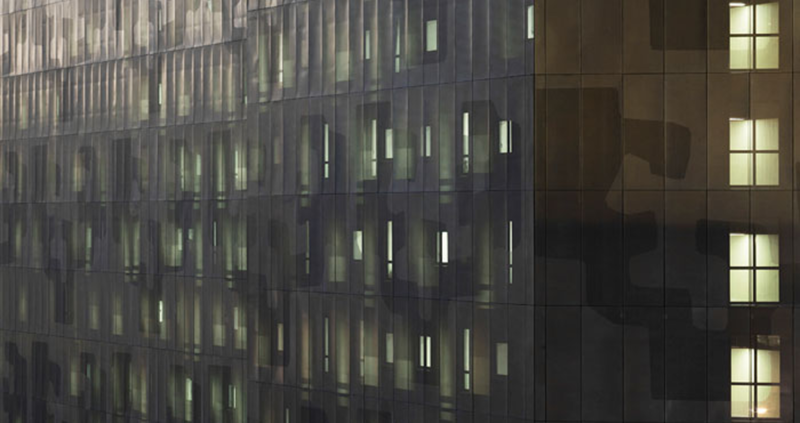 This external skin of perforated metal sheet is held by long supporting brackets, which separate the inner skin from the outer skin of the building. 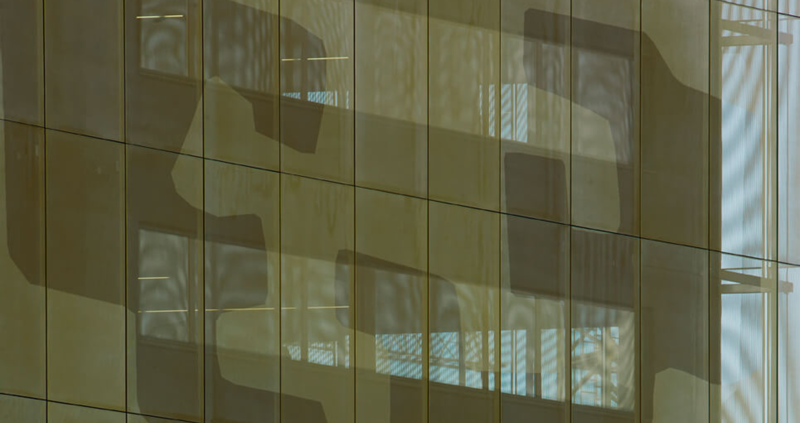 The Basque Country University´s logo featured on the facade is achieved by applying circular perforations of two different diameters. It serves a sun control purpose, allowing a great amount of lighting inside and yet providing some degree of protection from direct sunlight. The golden powder coated finish is highly durable and helps make the building more striking and innovative in terms of design.